Pondicherry - where the buildings are as colorful as Life. 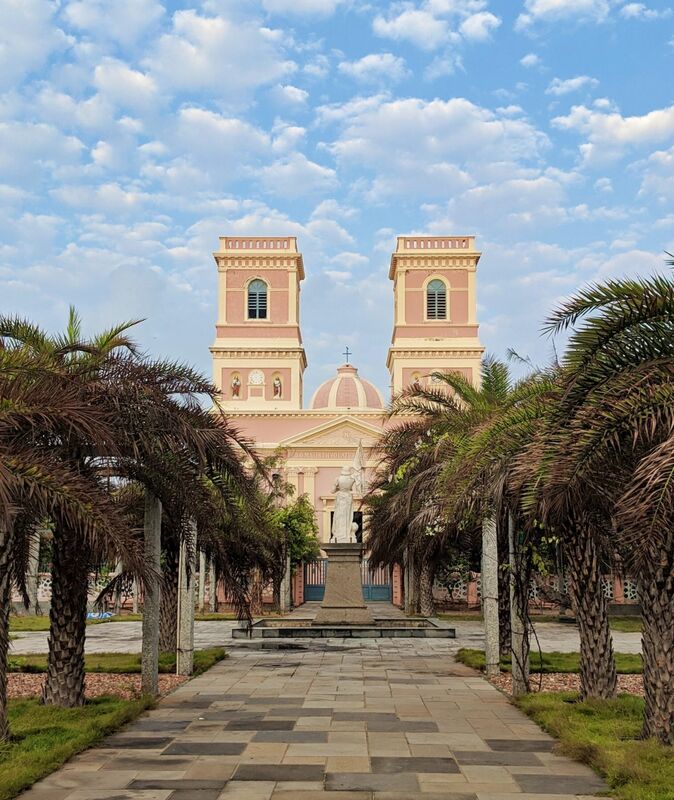 Here stands the majestic Church in all its pastel glory overlooking the Puducherry Beach. During my recent trip to Pondy, I accidentally found this church while trying to take a route which is less sunny. It stands right in the famous WhiteTown. Our Lady Of Angeles Church.